Shawn and I were chatting last night about Brighter Day and how I've been feeling a little burnt out these days. Just in the last year, I sewed close to 1200 purses by myself. After a while, the constant sewing gets exhausting and monotonous. Don't get me wrong - I'm hugely grateful for the success of the shop, the many wonderful customers, and the privilege to work from home with my little guy. It's just the non-stop sewing that sometimes lasts up to 10 hours a day, and by the end of the day, I'm still not caught up. I'm thankful to now have some sewing help, which is an enormous blessing, but it seems the business keeps growing and we're struggling to find more qualified, available seamstresses. * I love designing, I love interacting with customers, and I even love problem solving. I don't love sewing hundreds of bags a month. And so it goes with small businesses of all kinds, right? You're so thankful for their success, but it sometimes feels like you've created a monster. Shawn even asked me, "What would it feel like to have a night off?!" and we weren't even really sure. It's been such a long time since we've just had a long dinner, popped in a movie, and took a deep breath. Usually our nights consist of sewing (both of us, if you can believe it). I keep saying, "What a great problem to have!" but as my friend Ashlyne reminded me the other night, "It is a good problem, but it's still a problem." And that it is. I've closed the shop for the time being because of our upcoming move, and I definitely have plans to re-open as soon as we're a bit more settled. But the more I've thought about it, while I'll keep the clutches in the shop, I'd love to make more than just clutches to freshen things up a bit. And that's where you come in! You and your input are so valuable to me. Is there anything you've been hoping to see in the shop? I'd love to hear your thoughts... and please, do not feel obligated to buy something if you suggest it and I end up putting it in the shop! I would truly just love to hear your thoughts. *Are you a seamstress or do you know any seamstresses in the Nashville area? I'm so serious... we are definitely hiring and I'd love to meet with you! Please send me an email if you're interested. I just want to encourage you and let you know what a beautiful woman you are. I know I have no idea the full extent of your busy life and the challenges that come with it but I appreciate you honest and vulnerable you are on your blog. Thank you for this, it is so refreshing to read a blog from a genuine believer committed to your faith, the body of Christ, your family, friends, and business. I pray that in these next few weeks and months of discernment the Lord would bless you immensely with clarity of mind and peace in all decisions. I also pray that He would give you rest and a significant time of Sabbath. Blessings on your day dear friend. You, friend, are beautiful! Thank you for your encouragement and prayers. I've always thought bi-fold phone "wallets" or "covers" are very cool! Money/cards on one side, phone strapped on the other. I have yet to find one that I feel comfortable spending the money on- but in your fabrics, they would be awesome! I never carry clutches, but would love a bag/purse with that same type of design. I think your hand painted signs, frames, sayings etc. would also be really great. At the end of the day I think you would sell just about anything because you are very talented and creative. I think you probably should sell what you feel most inspired to design at the moment along with your items that do so well! Ironically, I never carry a clutch either. I'm working on a larger design that I myself would use too! :) Thanks for the input! I agree with Ashlee... I love your fabric choices and designs, but with a toddler who has almost out grown his diaper bag but still needs to me to carry around a few things, I rarely carry clutches. A bag/purse with similar design elements and fabrics would be really fun! Agree with previous comments: larger bags/purses and cell phone wallets. There are so many painted signs on Etsy I'm not sure how you would make sure yours stand out, but they would be lovely additions as well. Being a new mom (well, a year and a half now), I never desired to carry around a diaper bag that looked like a "diaper" bag. With that being said, I would love to see a diaper bag/tote that could double useful for both the baby and myself, after the diaper bag phase. For example, the diaper bag that I purchased had a removable insert via zipper (primarily designed for washing); however, I thought it would have been nice to have different insert options, one designed like a diaper bag and another that could be purchased later for transitioning the bag to a purse. I love your style and would love to see any new products offered in your shop! Good luck with your move and future endeavors! Such a good idea with the diaper bag transitioning to a purse... love it. after seeing your painting this morning on insta, i think some cute stationary would be a great hit! and a break from the sewing machine! would you hire a seamstress out of state? I know a good one, but she doesn't live in Nashville. I wish I could, but with the turnaround times I have to offer and the price of shipping fabrics/purses back and forth, it doesn't work well. :( However, I'll be sure to let everyone know if that becomes an option! Big purses! Diaper bags! I love anything you make- but ya...I've never really carried a clutch (although I'm excited to use mine when it gets here!) so I would be excited about that. Love you! I love love what Mylisha said above. I am just going to say Ditto, because I can't phrase it better. A larger tote would be great. I will say, that as a new mom, I do like the clutch because I can throw it in my diaper bag! Along with the larger tote, maybe you could include some "wet" bags for bottles, diapers, etc. Thank you for being so transparent! I don't think I've ever commented but I look forward to reading your blog every time you post. Praying you find the balance you desire. Wet bags! Yes! Thanks for your prayers, too. Depending on the prices, I would love to see hand painted signs! Would it be something we could personalize or would you just have a few options to choose from? Either way I'd buy one if it is at a reasonable price :) I love all your clutches! They are all so so cute. Also, do you make wallets? 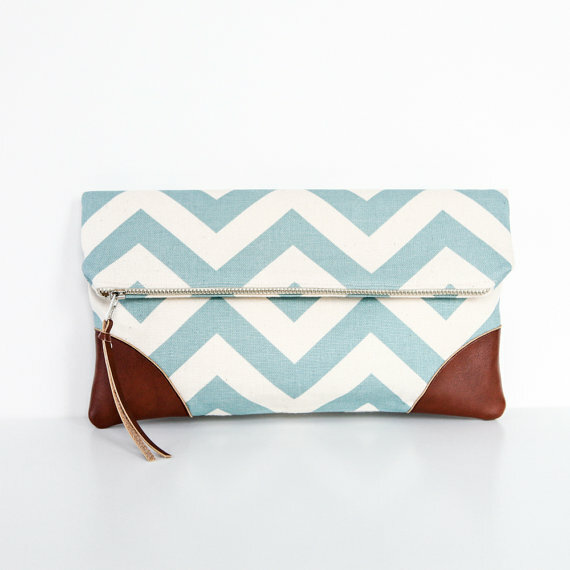 I'm not much of a clutch person, but I love your designs and fabric so much I just want one to have one! Hand painted signs - not sure yet if it'd be personalized or not! I'm up for anything! Also--did you guys find a house? I know you're in TN and someone sent me the CUTEST house in Nashville the other day. Wish my husband was the exploring type and would move away from Michigan. Haven't found a house yet as we're not sure if we'll be buying or renting. This area does have a lot of great options, though!! I would love to see a great camera bag. While I like many of the ones I see on the etsy shops a lot of the patterns are a little much for me. I like your taste in fabric. A nice camera bag with place for a couple of lenses and maybe a matching strap cover. I would love to see a great cross-body bag that is similar design to your clutches. Love the leather in some of your bags! I wish I lived closer, I would love to help you. 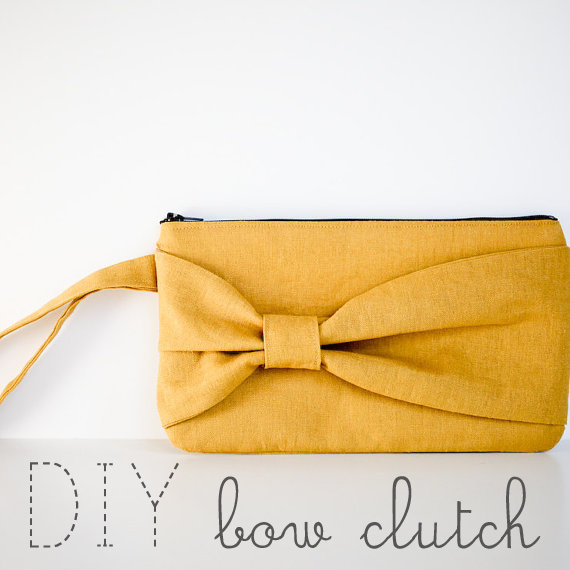 I made a bow clutch from your tutorial a few months ago and I love it. Keep up the great work! I love you blog. And this is why, when people ask me if my calligraphy keeps me busy, I'm more than happy to say: not really. : ) I'm sure you'll be given wisdom as you consider the remedy to your excellent problem. When you showed pictures of your shop's evolution, I loved some of your jewelry. (I'm a sucker for pretty earrings; especially if they're green.) : ) And I would be interested in some sort of waterproof travel makeup/toiltry bag. Maybe a set? I agree with totes/diaper bags/cross body bags. I've been looking for a small wallet for a while too; the only one's I've seen that I've liked are Vera Bradley and they are a little pricey and not quite my style. I'm also hoping to learn how to sew sometime in the next year so I would love tutorials and patterns! I'm actually moving to Nashville in a month and would totally want to come to a class if you offered one! I'm really hoping to offer more classes once we move... I'll keep you posted. Hi! Wow! That is alot of bags!! :) uhmmmm.... i like the ideas I've read through so far: cell phone wallets, cross-body bags, camera bags. I would be interested in pouches of various sizes, throws/blankets (you have awesome color/pattern skills), journal covers - maybe with a pocket for pens/cellphone/id, OH - infinity scarves - again you have awesome color/pattern/texture skills. How about baby /toddler things - toys, clothes, blankets. I wish you guys luck and much success!! So many ideas! Thanks, Kim! Ugh. I wish I could sew for you! I'm near Louisville, KY though. :( Sure hope you find someone! I personally like the theme in your shop so I would vote for diaper bags or tote bags. I also don't carry clutches (four kids eh? I need a BAG!) But really, whatever makes you happy. I would love to have a bigger bag in your fabric and styles of purses. I would also love a wallet with lots of slots for cards and a coin zip up- something like this http://mel-allwrappedup.blogspot.ca/2010/11/patchwork-y-bifold-wallet.html. Love that - thanks, Meg! I hear ya... and I love the optional strap idea. And yes! Stud earrings. That's pretty much all I ever wear anymore with grabby baby hands around. Thanks for writing such a wonderful blog! You are so inspirational! For suggestions: I love the idea of painted quotes or scriptures boards. I think you would be very successful with that. On the bag front, I would love a duffle bag/carry on bag for traveling. I remember you mentioning you opened a baby shop for Brighter Day so maybe you could do wall hangings, personalised birth prints (with weight, name, date etc), quilts like the one you made Liam (it was awesome & I would buy it even if it was your first go)stuffed toys etc, or I remember you saying you can crochet, ever thought of doing that, like crocheted baby booties and beanies etc... its something you can do at night relaxing in front of a movie... I dunno just a suggestion. I also agree with the idea of bags and espically like a duffle bag, I love so many of your clutches and I would probably purchase a duffle bag if priced reasonably. I just hope that when I open my Etsy store in a week or so that mine will become as popular as yours, Im not a very busy person so any chance to be busy would be awesome! I live in Australia so I can't help you out with your seamstress issue although I'd love to you seem like such great people!!! Good Luck, it will all work out. Love all those ideas - especially the baby things! Thanks, Danielle. Your paintings (and really all of your DIYs) are so beautiful! I think a lot of people would love it if you sold the signs and paintings you make. I know this would still be sewing, but passport covers could also be another option that I think would be popular. Don't get discouraged! I know how you feel -with school it often feels like there's never a pause or a free night to just breathe. Just take everything in small steps...praying for your move! I think patterns are a great idea! You're tutorials are so well laid out (& popular! ), & it would give you a way to make money from the creation of new ideas, rather than making the same patterns repeatedly. Also, I remember Posy Gets Cozy had a similar problem so she started selling kits a few times a year, rather than making the items herself. I am a seamstress and would possibly be interested in purchasing your patterns. I wish that I lived in Nashville because I would LOVE to sew for your shop! I have actually had an Etsy shop for a little over a year and am having trouble getting any traction. Do you have any suggestions for me? I have to say the idea of patterns is awesome. Once it's created, your work is done! It's the easiest thing I've ever sold! I have a handbag etsy shop so I'm often looking for patterns that can be made and sold in small shops. Just adding to the other person's thoughts who mentioned the patterns. 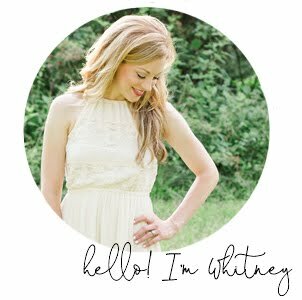 Whitney, I appreciate your honesty! As a new mom too, I often wonder how you do it all! As far as the items, I agree with the larger bags and wet bags. Also, have you thought about doing sewing slots to keep things manageable? Jan at Sleeping Baby productions (she makes ring slings) just went to that system for a temporary period so she can keep time for her family. I'm not sure if that would be an option for you or not. Good luck! Phone cozies. I once had one made from vintage fabrics that also had a slot to stick my id, credit card or cash and a subway card that I could take with me when on a walk to the store. I loved it except that it didn't really fit my phone with the cover on. Anyway, they are very useful and there is definitely an audience for them!. I also really love bags with three different sections in them like the old Botkier bag. Obviously those are more complicated, but maybe you can play with that idea? Patterns might be fun.... I keep saying I want to learn to sew but then I chicken out. This would be A LOT of work but the stuffies like you made Liam or the quilt that you made him (I'm obsessed with that!) as throws would be cool too. But my biggest vote is paintings. LOVE your stuff!